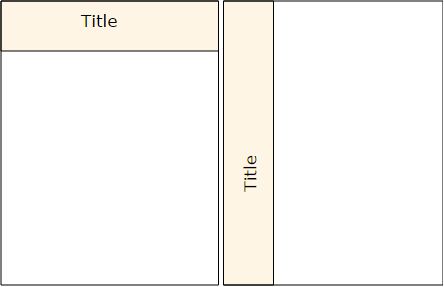 Title can be a part of an other complex element, such as a chart, a legend or an axis, as well a self-sufficient element. A title have a orientation, text alignment and a background. Title occupies the whole part of a container (depending on the orientation by the width or the height). anychart.core.ui.Title - Self instance for method chaining.